"To go very far, you must begin very near, and the near is you, the “you” that you must understand.."
Yoga Therapy opens the curtain for your own healing. The dedicated space of our studio is on the ground floor at the rear of the building. It is a quiet, intimate space that allows for 8 -10 students per class. We have natural light, greenery and blue sky views for a harmonious experience. Often you can hear the birds singing and the sound of wind chimes during your relaxation period. We are located in a residential apartment building, therefore there is no commercial signage. You will see "GILPIN PLACE" on the awning on the front of the building at 1301 Gilpin Avenue at Franklin Street. Placed at the entrance to the studio in the hallway is a shoe bin, so that you may remove your shoes before entering onto the wood floors of our practice space. If the shoe bin is not yet outside in the hall space, please have a seat in the lobby. There is a dressing room for changing and for keeping your personal effects. We provide all props, however, you may choose to bring your own yoga mat. If you choose to use a studio mat or any of the studio props, Chlorox wipes are available for hygiene. There is a bathroom on the opposite side of the practice space. The studio is normally opened a half hour before the beginning of class. Please come on time for classes, but you may come as early as 15 minutes before. Help yourself to any reading materials, take the time to warm-up or relax before we get started together. Street parking is easily available on the surrounding one-way streets in the neighborhood. Students should be aware of a two-hour street parking limitation increasingly more enforced during the day by the City of Wilmington. "Even though age is telling upon me, I am still experiencing new feelings. I do not hesitate to share the light of my new experiences with my pupils. I live in my cells and live in my heart. I would like to practice yoga till my last breath, as a humble service to yoga. My only wish is to prostrate before God, surrendering my last breath in a yogic posture." Generally, all classes are going to give you the experience of your body/mind's current level of balance, strength, and flexibility. THIS IS APPLICABLE FOR SENIORS! When you are unfamiliar with the workings of the individual body parts, you will be challenged to address muscle & joint stiffness, poor posture and shallow breathing. THIS IS APPLICABLE FOR SENIORS! Classes at the Very Near Yoga Studio will teach you about the body's anatomy...YOUR BODY's unique anatomy. We start with FEET... The 8-week series, will progress to develop a thorough knowledge of how the lower limbs work in the HIPS/LOWER BACK. Later the UPPER BACK/SHOULDERS/NECK are addressed so that your anatomy is improving both through experience and practice of yoga. Your breathing receives the advantage of all the above and you begin to have more energy in general because the body & brain are getting more oxygen. THIS IS APPLICABLE TO ALL AGES! You may want to do CHAIR YOGA with us at the Very Near Yoga Studio class on Thursday morning @ 11:30 am. It is a good place to start with others in the 55 years plus age range. You must register in advance, the class is now forming for Fall 2018. You do not have to be a senior to attend the 11:30 am class. You may be simply a person with special needs. You are welcome to come to our classes as a raw beginner or an experienced practitioner. Please let the teacher know your what exposure to other yoga classes you have had and, IMPORTANTLY, whether you have physical limitations based on previous injuries, surgeries AND ANY & ALL CONSIDERATIONS. Our classes are slower and afford each individual student the time to understand proper adjustments to improve alignment and postural integrity. If you are a student of another yogic discipline you need these classes to help understand your body's anatomical misalignments & weaknesses. Classes at all levels of proficiency are constantly reaffirming the power of proper alignment and refining their understanding of the individual yoga postures. You can start mid-term, you do NOT need to wait for the beginning of a 2-month series. ($ 70 /hour) that will give you the fundamental understanding of what condition your body is in and how yoga postures and breathing will help. If you want to bring in 2 or 3 students for a group private lesson, your cost is $90 for 90 minutes. 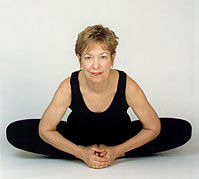 By arrangement with the teacher, the venue can be other than at the Very Near Yoga Studio. You may want to arrange to have a series of on-site classes at your workplace or elsewhere. Please inquire. Arrive on time or earlier. If you do arrive late, please take your mat as quickly as possible to the floor and catch up with where the class is at. No gum chewing! You CAN make SMART comments! AVOID making small talk with your neighbor. LET US ALL hear what you're saying. The temperature of the Studio is NOT overheated, therefore hydration is taken care of before & after the class ... when special circumstances are at issue, please talk to the instructor. Noting that your body's shape will allow you to understand how the postures look when alignment is correct, we ask that you wear form-fitting clothing that will not hang away from the body. If you choose leggings (ankle-length, or what is called "bicycle" shorts or any length in between), there should be relatively no "flare" to the bottom. Your top should hug the shoulders and fit snugly around the hips/waist. Having undigested food in the stomach does not allow you to move with ease. However, you need the energy to work through the class without being distracted by hunger. When registering prior to class participation, it is important to inform the teacher in advance of any physical disabilities that may impact your ability to undertake this yoga practice. The studio is wheelchair accessible. Take time to consider that YOGA is both FUN and SERIOUS. Your challenge is to meet your SELF, warts and all, and believe that there is more to do than just let age take its course. The human mind loves to learn! The body is its own pharmacy...let the therapeutic benefits of yoga become your best medicine and your own mind become the best physician you could possibly consult. Practice makes perfect in the moment...that's all you have to do, but you must do practice regularly! Note: Newcomers can join at ANY TIME. Preferably, begin a series of classes with each 2 month period, i.e. Sept/Oct, Nov/Dec, Jan/Feb, Mar/Apr, May/Jun.